Injuries and diseases of the brain and spine require advanced technology and an experienced veterinary specialist to address, as it is Mission control for the entire body. Damage to these very sensitive areas can have far-reaching consequences and need to be treated swiftly and appropriately. 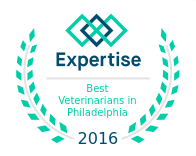 With a full time board-certified neurologist and an MRI on site, VRC has the resources and expertise needed to both diagnose and effectively treat neurological conditions and injuries in your pet.